American Riviera Private Tours earned a 2018 Certificate of Excellence from TripAdvisor and was inducted to the HALL OF FAME by the world’s largest travel site. TripAdvisor announced that is awarding American Riviera Private Tours with a 2018 Certificate of Excellence and induction to the Hall Of Fame. This TripAdvisor award recognizes the best tour operator in Los Angeles for the last 5 years consistently achieving high ratings by traveler reviews on TripAdvisor and providing the best customer sightseeing tours and excursions in Los Angeles and surrounding areas. “Certificate of Excellence” and Hall of Fame induction distinguishes American Riviera Private Tours from competitors for delivering consistently great service, as defined by the reviews of TripAdvisor travelers and gives customers more reason to choose American Riviera Private Tours – best chartered van bus private tour company in Los Angeles. Trash Yourself on America’s got talent 2012! Have you ever noticed that while you know tons of things that you discover when traveling abroad or thousands of miles from your home town, you sometimes lack knowledge about the area you actually live in. Do you ever wonder how many local attractions and sights you can see on a quarter of a gas tank? Here are top five Los Angeles attractions you can visit on a quarter of a gas tank. From the charm of Main Street, U.S.A to the whimsy of Mickey’s Toontown, explore eight fantastic “lands” of nostalgia, color and delight. Let your imagination run free in a magic kingdom where life is a fairy tale and dreams really do come true. Disney’s California Adventure Park is adjacent to Disneyland® Park. Disney’s California Adventure® Park offers exciting attractions, live shows, shopping and dining experiences in four distinctly themed lands: Hollywood Pictures Backlot, Golden State, Paradise Pier and “a bug’s land”. * Hours: Disneyland Park. 9:00 am – 11:00 pm. Disney’s California Adventure Park. 10:00 am – 9:00 pm. * Location: On Interstate 5, south from LA. Exit Disneyland Drive and turn left (South). Then Proceed across Ball Road. Use the left three lanes to access the Mickey & Friends Parking Structure. * Best Time to Visit is January through March and September through October. These months are lower in park attendance. * Best Time to Visit: Busiest on school holidays and in summer (also hottest), less busy on Tuesday, Wednesday and Thursday if open. Weather may close some rides, so don’t go on a day when it’s raining or windy. If you go in summer, when the park is open very late, consider arriving in mid-afternoon. Knott’s was once an actual berry farm is now 160 acres of world class rides, unique family shows and one of kind attractions. At America’s favorite theme park, experience GhostRider the world’s best wooden roller coaster, Supreme Scream, 30-stories up, 3 seconds down and the high-octane thrill of Xcelerator, rated the world’s best launch coaster, sending riders 0-80 in 2.3 seconds. For a different type of thrill, stroll on over to Camp Snoopy, home to the beloved PEANUTS gang. Located next to Knott’s Berry Farm, Soak City is a well-designed and spotless water park located across Beach Boulevard from Knott’s Berry Farm. For the adventure seekers, Malibu Run, and its four slides, Dropoff, Wave Chaser, Heavy Swell, and Rincon, as well as Old Man Falls, a 62-foot (19 m) high, triplet of speed slides. There is also the Laguna Storm Watch Tower, which offers three completely enclosed slides, and don’t forget Banzai Falls, a six-lane waterslide race down bumps. * Location: From I-5 North, merge onto CA-91 West and take the 113c exit. Follow CA-39/Beach Blvd exit towards Buena Park. Take a left on Beach Blvd/CA-39s. Follow this to your destination at 8039 Beach Blvd. * Best Time to Visit: Busiest on weekends, less busy on Tuesday, Wednesday and Thursday and Friday. With thrilling park rides and shows, a real working movie studio and L.A’s best shops, restaurants and all-new cinemas at CityWalk, Universal Studios Hollywood is a unique experience that’s fun for the whole family. The first-ever mega-attraction based on the blockbuster TV series, The Simpsons. Featuring the show’s classic humor and many of its instantly recognizable characters – all voiced by the original actors. Experience hair-raising thrills and heart-pounding surprises on rides like the Revenge of the Mummy thrill coaster and the Jurassic Park 80-foot raft plunge. Go behind the scenes of your favorite movies and TV shows such as ‘Desperate Housewives’ and The War of the Worlds. Explore Hollywood’s famous backlot and see sets, special effects and insider secrets on the Studio Tour. Join Shrek and Donkey on an ogre-the-top adventure in Shrek 4-D.
* 2011 Cost: Single Day Ticket Adult – $74, Children ages 3-11 – $66. Grab the family, your spouse, and best friend- whatever, just get up and go! From the lazy river ride to the speed slides, this park is sure to please everyone looking for a soaking good time. Experience the thrills of riding the perfect wave. Feel the power of the ocean as 36,000 gallons of water flow under you a minute. Slice back and forth across the water on a surf board or a body board. Catch a wave or just watch the action, the Flowrider is an innovation in extreme and it demands an audience. * Hours: Open daily May through September, 10 am – 7 p.m.
* 2011 Cost: Season Pass Adult – $64.99, Children ages 3-11 – $19.99. So if you have a free weekend at your disposal and a car without certain plans on what to visit in Los Angeles just simply fill your tank and go visit exciting LA destinations. 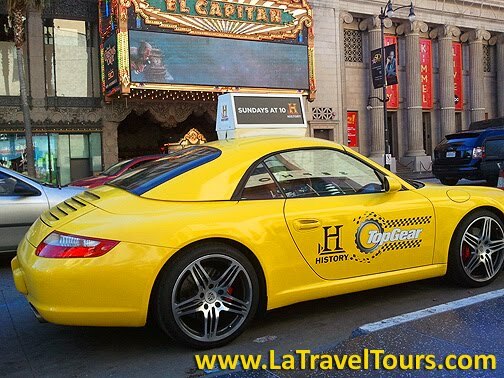 More info for a custom group day tour in Los Angeles – Los Angeles Tours. We are a group of 12 that will be staying in Santa Barbara for training and we would like to go on a day trip to Los Angeles. 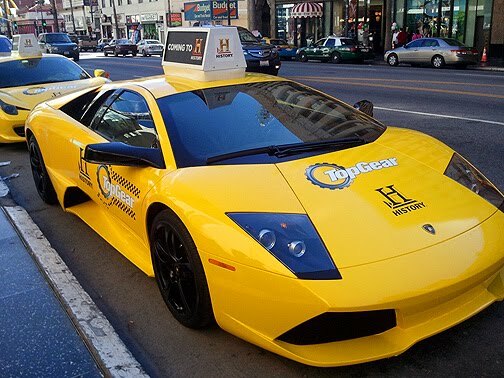 “Top Gear” cars on History came to Hollywood! On Sunday, November 21 at 10 pm. Top gear is coming to History with hosts Adam Ferrara, Tanner Foust and Rutledge Wood. Featuring super-cars (as seen on the pictures), extreme stunts and challenges, car reviews and celebrity interviews, Top Gear is the home for anyone with a love of cars. 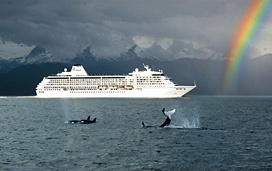 via Regent Seven Seas Cruise Deal Free Shore Excursions on Regent\’s 2010 Cruises. New Low Price for the compact car! 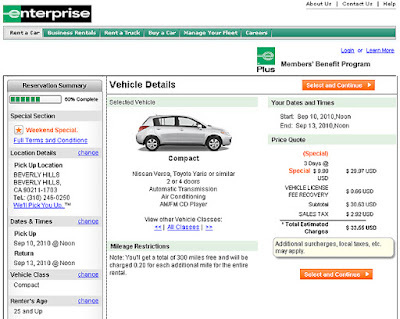 Pay only $9.99 a day, Friday – Monday rentals at participating Los Angeles Enterprise rent car locations. Air Conditioning, AM/FM CD Player. Cooking demos from world renowned chefs – SLS Hotels, Hollywood Roosevelt Hotel, Fairmont Miramar hotel, Montage Beverly Hills hotel, Sunset Marquis Hotel , Beverly Wilshire Hotel, Ritz carlton marina Del Rey hotel, Luxe Hotel, The Peninsula Beverly hills hotel and more. 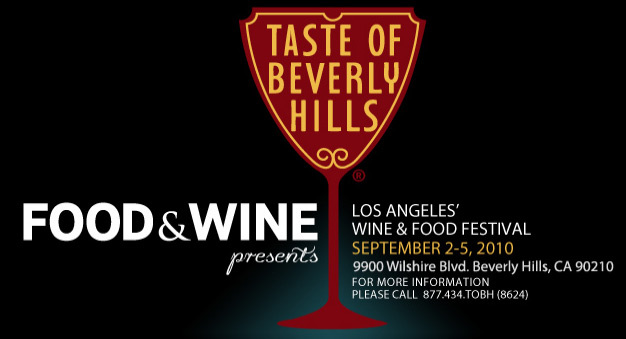 via Taste of Beverly Hills Food and Wine Festival in Los Angeles – Los Angeles Tours. 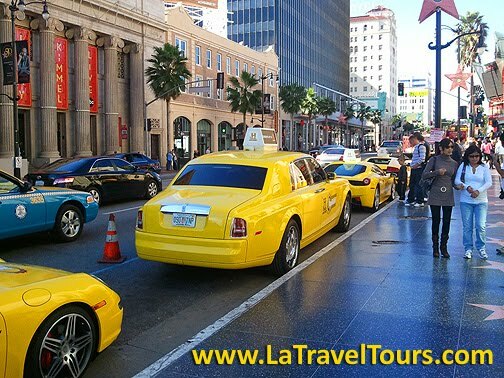 American Riviera Tours offers Los Angeles guided tours – pleasant and personal tour with live guide http://ping.fm/aLAXp Our guide will pick you up at your hotel and after the tour we will drop you off back. During the tour we will visit Los Angeles most appealing sights. We will start our tour in Hollywood Hills with a beautiful view of the City and Universal, Warner Brothers and Disney studios (2 stops on Mulholland Drive). Then we will stop for about 30-40 minutes at the Hollywood Walk of Fame, where you can see all the stars, Kodak Theater, famous foot prints at the Chinese theater, then we will visit The Grove – Framers Market for about 30-40 minutes (you will have time for a nice lunch, if you desire so), then we will proceed to Beverly Hills Rodeo Drive.Stop there for about 30-40 minutes on the most expensive street in the world – Rodeo Drive and then by taking scenic Sunset Blvd through Bel Air we will proceed to Santa Monica City, where you and your family can enjoy Santa Monica Pier attractions or just strolling along and 3 – rd street Promenade entertainment. Call 1-800-761-1775 if you have any questions. We are here for you and will do anything possible for your enjoyment. Summer of Cirque! Live at The Grove Los Angeles! KOOZA by Cirque du Soleil at The Grove and Santa Monica Pier – Los Angeles Tours.